We may be harassed by small pockets of our communities but we tend to be very visible. Sometimes represented accurately, sometimes it’s the same ol’ demonization or outrageous fantasy. “Scratch the Christian and you’ll find the Pagan – spoiled” is a quote attributed to an ancient Roman philosopher who’s name escapes me at the moment because so many Christian traditions, practices, prayers and indeed gospels are seldom more than accretions from what already existed in the Pagan realms prior to being subjugated by the church. In many lands with the most personal liberty today there is also a dominant role by the Church, especially in Central and South America, yet on closer inspection you’ll find a wealth of Pagan and Indigenous spiritual practices that are embraced by the people. 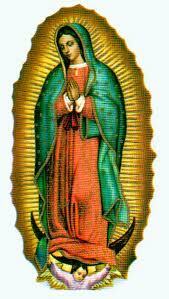 The Virgin of Guadalupe is venerated based on the visions of a single individual. Should you explore his testimony you’ll find that he was describing a Pagan Goddess, yet the Church annexed his vision and testimony and wrapped her in the trappings of the church. While Europe and North America have grown more agnostic, atheist, Islamic and Pagan there remain cultures that cling to fundamentalist or literalist ideals in the Abrahamic faiths and scriptures. These tend to be very dangerous places. Seldom does a month goes by without news reports of a “Witch” being found guilty of “casting spells” and being put to death in Africa or sectarian violence in the Middle East. Yet like most of the “Witches” tortured, tried and put to death during the Burning Times, very few of them had much to do with Pagan practice or the Ancient Wisdom. The Reformation created “witches” out of Christian sectarian violence – Roman Catholic vs. Protestant. All of the above against the Pagan or Witch. So How Does A Peaceful Pagan Navigate Such Dangerous Environments? Let people come to know, honor and love you based on your actions and the love you share with them and all of creation. It’s so much harder to condemn and execute those you honor, respect and love. We may have to go underground as our forbearers did. I’m okay with that. 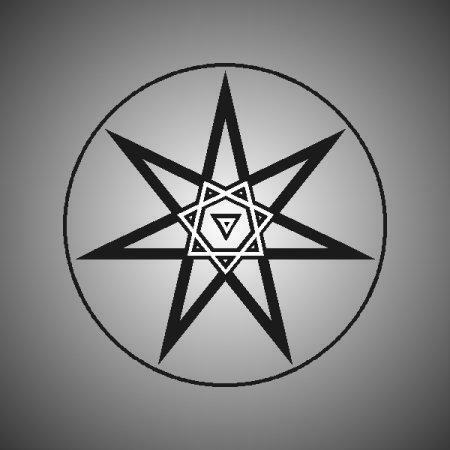 Although I’ve provided Pagan Invocations during National Day of Prayer ceremonies at Ford Motor World Headquarters twice, I don’t sport a pentacle, moon or star tattoo on my forehead. I don’t need a Bulls-eye on my forehead as a Pagan Mystic, nor do I expect others to accept my path, gnosis or experience. I was a Solitary for years before I connected with any Pagan Community. I’ve lived alone for most of the last four years. Alone, but never lonely. My Radar is finely tuned. My shielding impenetrable unless I invite you in. Symbols and “Green Language” keep us safe. This one phrase represents the strategy and tactics that have allowed the Mysteries and Ancient Wisdom to survive unto our times. I’ll not risk the loss of the Mysteries and Ancient Wisdom for our future generations because I was careless with my words or deeds. Occult means “hidden” of course. Sometimes we need to Hide In Plain Sight. I’ve never met a Pagan who tried to convert anyone to the myriad spiritual paths under the Pagan umbrella. Within our community it of course exists. Folks need to be able to find the path that feels right to them. Should they outgrow it, they are free to move on to another. Anarchy thrives in the Pagan communities I’ve been involved in. Be a Light to the World and those around you and Fear will shy away.